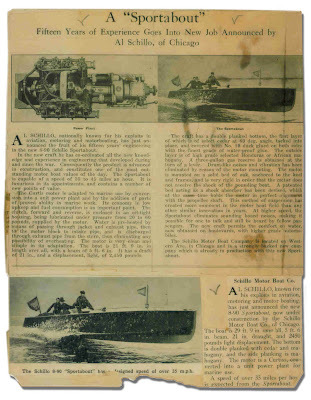 1929 Schillo, Help Save History, Help Save The Soul of Antique Boating. 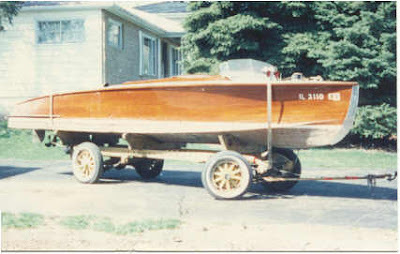 1929 Schillo 24’ triple cockpit runabout For Sale. Reads the ad on www.finewoodboats.com OK, well what really is for sale. Wood? Some chrome and a cool engraved dash board. Oh, there is a cool flag. And she needs to be restored. On the surface this is just another project waiting for someone that has a ton of time and money to make her all shiny again. But that is only 10% of the story here. The more you dig, what this boat represents is it’s value. Wood is wood. Chrome is chrome, but history is what we are all here. She may be the only thing left alive of her company. The company was in business for only 3 years. 1926-1929 At the start of the depression the boat company folded before it could drag it’s investor The Underwood Typewriter Company down with it. The Schillo family state that she is the only known boat left out there. One of the cool things about the Antique & Classic boat world is that it’s made up of such boats. Small companies with different designs. All built by hand. No computer models or focus groups. Just an idea and a dream. What other history of her and the Co. is out there? Who knows. Who owned her? Don’t know. Who saved her? You. The history is for you to find, publish and save. She as cool features. Designed by Hacker and built by Schillo. So when you are finished. You can be proud in the knowledge that you have preserved a piece of maritime history. And that you have the only one out there. 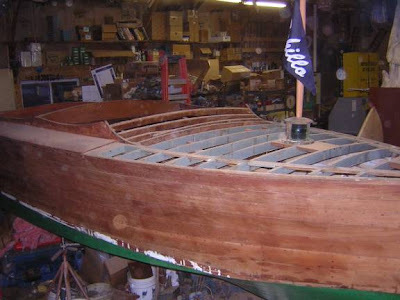 Give Jim Staib a visit at www.finewoodboats.com and find out more. I have seen her in person. She is definitely a worthy restoration. One should also take the time to meet Jim in person, he is great guy with a great deal of knowledge. The best part… he enjoys sharing it with others. I hope she finds a new home. I can not agree more. I love the idea of saving her history. I think this Schillo was a John Hacker design. I has Hacker written all over it especially forward. I have not seen her in person,. It looks like the rear has a real sweepy sheerline. Kind of a foreshadowing of barrelsterns many years prior. 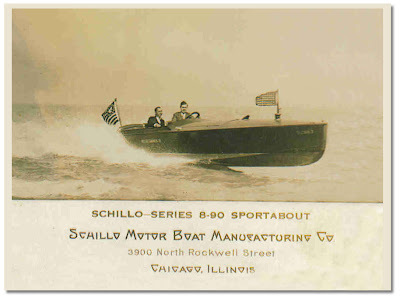 Woodyboater, I have to say, I love that vintage Schillo product photo in the first frame. The typography is out of this world. I may need to Fontographer that typeface….in my free time. Acording to the short history, it was a hacker design. Its a very cool boat. And yes. That font rocks. Its so fuzzy in the scan. Jim may have the orig post card. It would be worth it to redraw that font. We can call it Schillo…. What another cool way to expand on this boats history. Not sure if the flag is the logo or not. But that is very cool as well. I’d buy it just for the flag…. You should by it. Offer 50 bucks. You never know. It aint getting any better sitting in a barn. And you could create a history of your family. True or not. Who’s gonna question it. A font that comes very close to the one on the post card is "Popualr Cafe NF". Its available as a free true type download. Google it….